GREEN MANGO CHUTNEY പച്ച മാങ്ങ ചമ്മന്തി It is a true traditional recipe of Kerala which goes very well with steamed or boiled rice or rice porridge. It’s very difficult to give an exact recipe for this chutney. 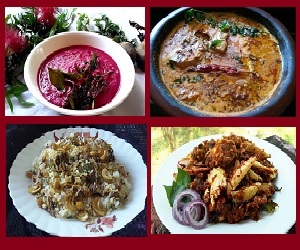 The proportion of ingredients is always dependent on personal tastes. For this chutney, adjust the ratio of coconut to mango according to the sourness of the mango and how sour you like your chutney. You can avoid adding Ginger, Shallot or both if you want to keep the taste more plain and focused on just the mango. Grind together all the above ingredients, without adding water, till all the ingredients mix well to form a medium paste consistency. 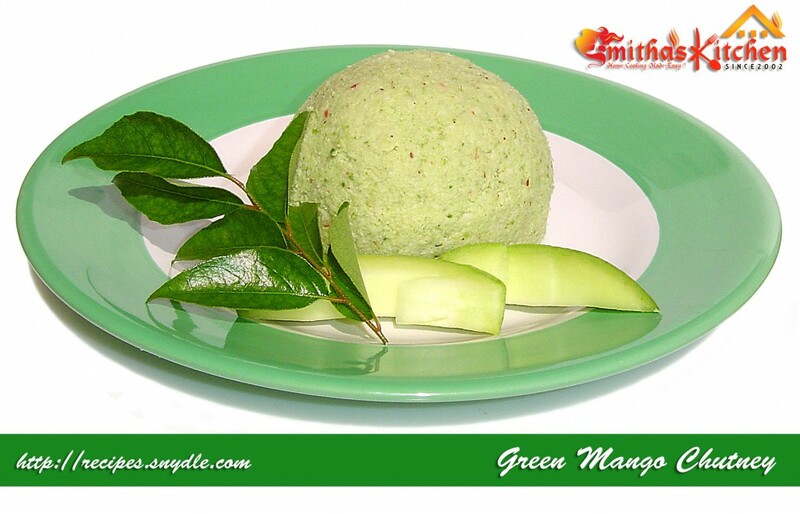 Enjoy Green Mango Chutney with steamed or boiled Rice or Rice Porridge as a side dish.